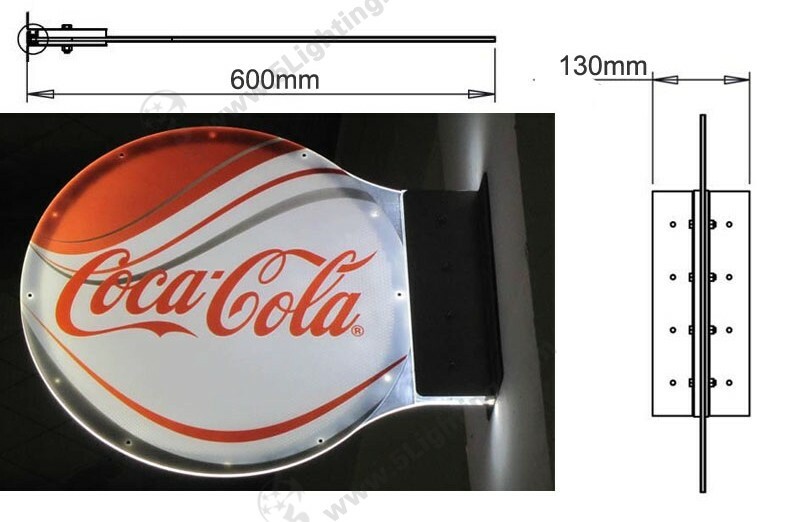 Application:perfectly applicable for outdoor display signs usage, such as coffee shop, café, club etc. 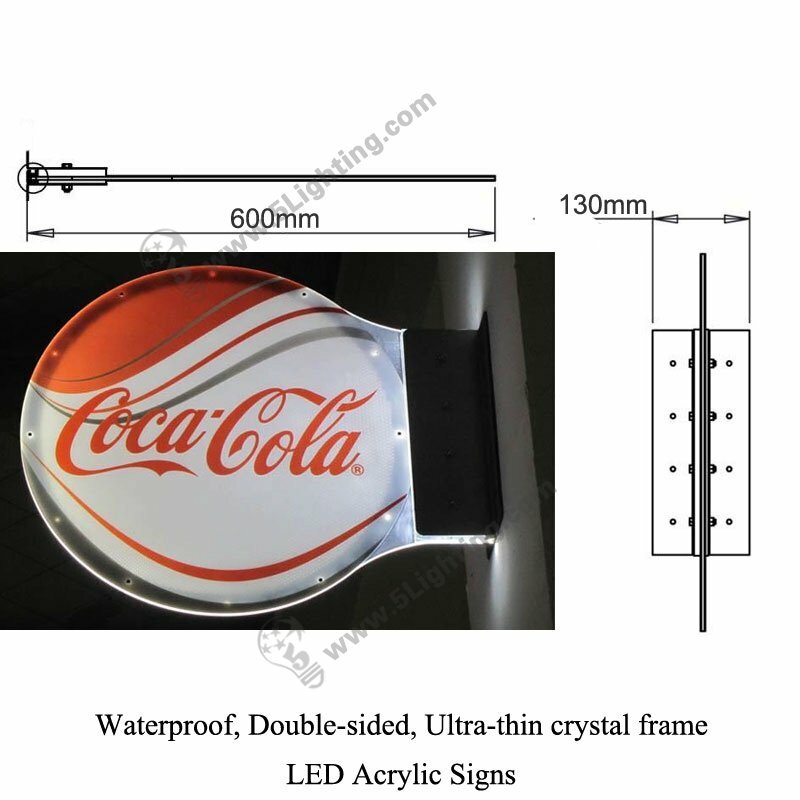 b): This led acrylic light box crystal frame is featured with waterproof function, reliable and safe, to some extent, widely expand applications of our LED acrylic signs, perfectly applicable for outdoor display signs usage, such as coffee shop, café, club etc. 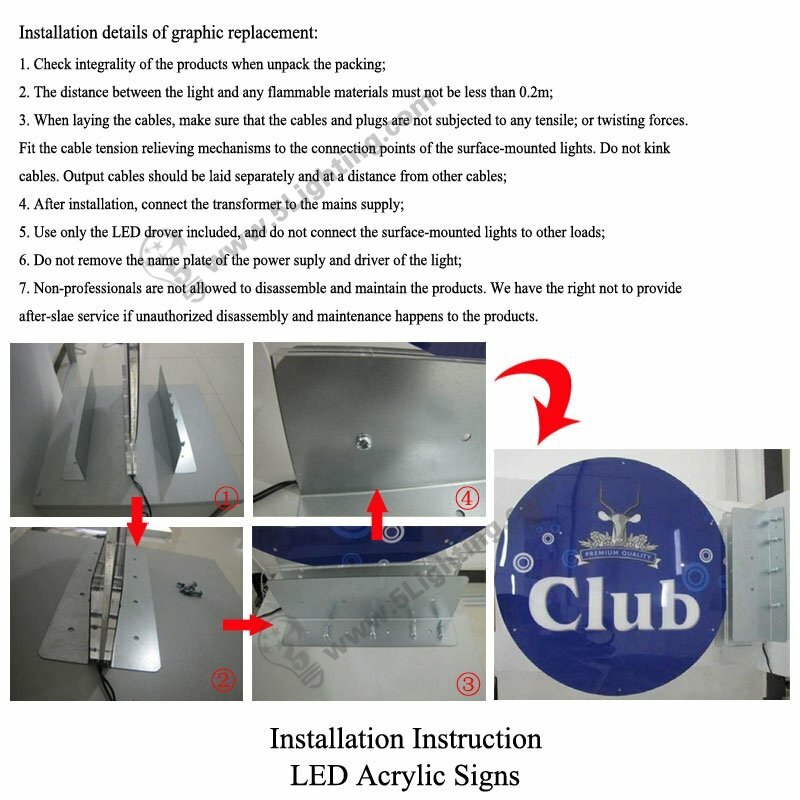 : Other places need to use waterproof acrylic led signs to display. 3. Keep packaging material away from the reach of children and pets. Risk of suffocation! 4. Caution. The packaging contains small parts that may be swallowed by children. 8. 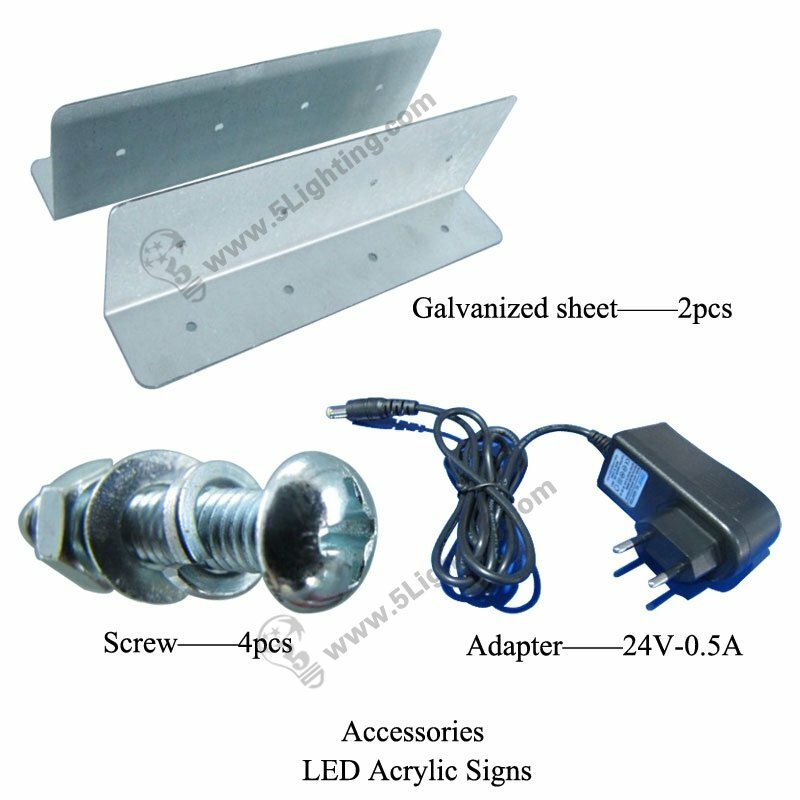 The products need to re-repair inspection or special treatment of retirement after service time. 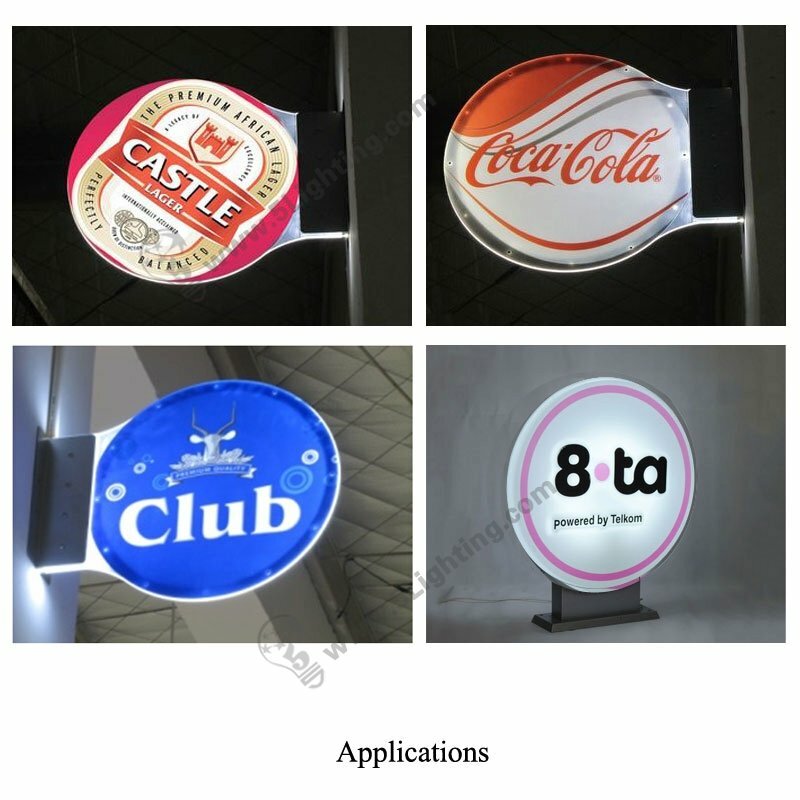 Good quality led acrylic signs waterproof from 5 star lighting factory ! Fixing ways: Hung from side, such as install on wall of café, pub ect. 7. Non-professionals are not allowed to disassemble and maintain the products. We have the right not to provide after-slae service if unauthorized disassembly and maintenance happens to the products.